State-of-the-art picosecond technology safely and effectively removes pigmented lesions (including tattoos) and brown spots. The Plastic Surgery Clinic is proud to be the first clinic in the province of Ontario to offer PicoWay®, a pioneering treatment to remove a wide range of pigmented skin lesions such as freckles, sun spots, age spots, and birthmarks, and beginning in August 2016, a revolutionary treatment for melasma. This unique system provides customizable treatments that achieve outstanding clinical results removing skin pigmentation, including tattoos. Are you tired of living with an unwanted or embarrassing tattoo? Perhaps it seemed like a good idea at the time, or it may be that circumstances have changed and you no longer wish to live with the permanent reminder of the past. Whatever your reason may be, you are certainly not alone. Recent statistics indicate that one in every six people regret their decision and want their tattoo removed. In fact, tattoo removal is one of the most rapidly expanding procedures in non-surgical aesthetic treatments. 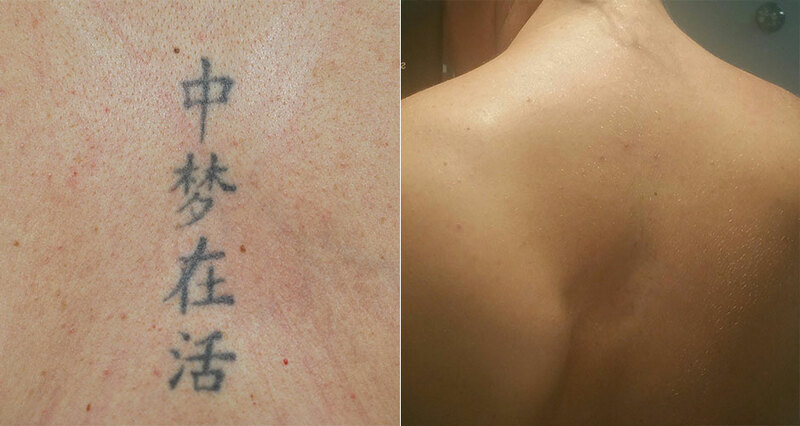 Traditionally, laser tattoo removal systems have been associated with drawbacks for patients. While blue and black inks have typically been relatively easy to treat, other brighter colours such as reds and yellows have proved to be difficult and sometimes impossible to remove even with multiple sessions. 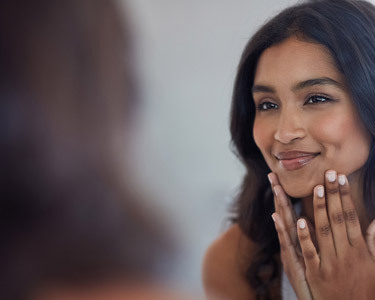 Patients have often been subjected to pain or discomfort with these traditional lasers, which are also associated with certain risks, particularly for darker skin tones. At The Plastic Surgery Clinic, our primary goal is to provide the most technologically advanced treatments with the highest level of patient care possible in order to achieve a natural looking result. Older tattoo removal systems did not meet our exceedingly high standards of care, and they could not accomplish the level of excellent results we demand. We knew that in time, scientific advances would lead to faster, more comfortable treatments that would require fewer sessions and produce better clearance results for our patients. PicoWay laser tattoo removal is the premier alternative to traditional tattoo removal treatments. It safely and effectively corrects tattoos, pigmented lesions, and melasma. With few treatments, fast results, minimized risk, and minimal discomfort, PicoWay is revolutionizing the treatment of pigmented skin. PicoWay is a highly effective and safe tool for tattoo removal, but it can also be used to improve the look of benign pigmentation in the skin. It has been shown to correct conditions including freckles, age spots, birthmarks, lentigines, melasma, café au lait spots, and more. According to an IRB approved clinical study, 96% of patients reported good to complete clearance of pigmented lesions. Our melasma treatment packages are designed to restore clarity and evenness to the skin with a multi-step approach, improving the look of melasma while imparting an undeniable glow. These treatments includes 2 Miracle 10 Facial Peels and 3 PicoWay™ Resolve treatments. PicoWay removes tattoos and pigmented lesions by utilizing unique picosecond technology. Unlike the traditional lasers of the past, PicoWay delivers energy to the targeted tattoo ink or unwanted pigmentation using ultra-short pulses. These pulses are so quick they can only be measured in picoseconds, a unit of measurement equal to one trillionth of a second. The result is a treatment that is faster and more comfortable than ever before. PicoWay is different from traditional laser tattoo removal and pigmentation treatments for a number of reasons. Thanks to its fast and powerful pulses, it provides better results in fewer sessions. PicoWay also offers fast results; its use of concentrated, high-power energy shatters ink particles and pigmentation in the skin, which allows your body to naturally clear them. Because the pulses are ultra-short, they ensure the least amount of heat gets transferred to the skin, leading to minimal discomfort and minimized risk. Why Are Tattoos Traditionally Difficult to Remove? Depth: when you receive a tattoo, ink is injected below the skin into the dermis. This depth presents a challenge for removal. Ink Particle Size: traditional laser tattoo removal similarly breaks up the underlying ink particles so that the body can more easily carry them away. However, most traditional lasers are unable to adequately break down some ink particles so that they remain in the dermis even after multiple treatments. Colour: while blue and black inks have traditionally proved to be more easily treated, brighter colours like reds and yellows have ranged from difficult to nearly impossible to remove. During a treatment session, the PicoWay hand piece is used to deliver extremely short pulses of energy through a highly precise, high power laser, capable of targeting both ink particles and unwanted skin pigmentation with impressive impact. These energy pulses shatter tattoo ink into much smaller, minuscule particles that your body can easily carry away through its own natural processes, clearing the tattoo. Similarly, in the case of pigmented lesions, the picosecond laser targets the areas of unwanted pigmentation, breaking them up into tinier pieces so that the body is able to eliminate them. On your first visit, we will carefully test and monitor your skin’s reaction to the laser to determine the most effective treatment plan. After your PicoWay treatment, cold compresses may be applied to soothe the treated area, and in some cases, a topical antibiotic ointment may be recommended. Over the first few days following your session, you will be asked to take care to avoid using any abrasive skin cleansers and to avoid directly scrubbing the treated area. In the weeks that follow a PicoWay treatment, some patients may experience temporary discolouration or reddening of the skin on or around the treatment site. Some patients have reported a temporary lightening of the skin following treatment. In both of these cases, the skin will typically resolve to a normalized skin tone. How Many PicoWay Treatments Are Needed? Every different tattoo or pigmented lesion presents different challenges for total clearance. The effectiveness of your treatment will depend on many factors including the age of the pigment, its location, its depth, its size, and its type. Typically, optimal results are achieved with more than one treatment. The degree of discomfort associated with treatment varies with each patient, depending on the nature and location of the tattoo or pigmented lesion on the body. For those undergoing tattoo removal, many patients have stated that the feeling closely compares to that of having the tattoo applied in the first place. PicoWay technology was developed and designed to reduce the amount of pain that is felt during a treatment, while also reducing the amount of swelling that is associated with traditional tattoo removal.